Sometimes our friends hurt our feelings unintentionally. We can choose to believe their intentions are good. Recently a friend said something that could have hurt my feelings. 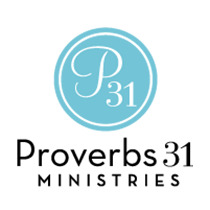 Hi I’m Lysa TerKeurst with Proverbs 31 Ministries. I’d invited my friend over for dinner, but she seemed hesitant about committing. At first I was tempted to feel like she was wondering if a better offer might come along which hurt. But the reality is I know this friend loves me. I know she likes spending time with me. So, I made the choice to believe the best in her and let any hurt go. A few days later, she confided in me that when I called she and her husband had been having an argument about her making plans without consulting him. I was so glad I’d made the choice to let go of my hurt feelings. How about you? Do you have a friend that you need to make the choice right now to believe the best about?